If you leave the panels equal then your printer will have to under trim the last panel so it will fold properly. They achieve this by trimming 1/16 off the back panel, so your brochure will now lay flat. A problem that comes with this method is if you have any text or images in that area, they will get cut off. 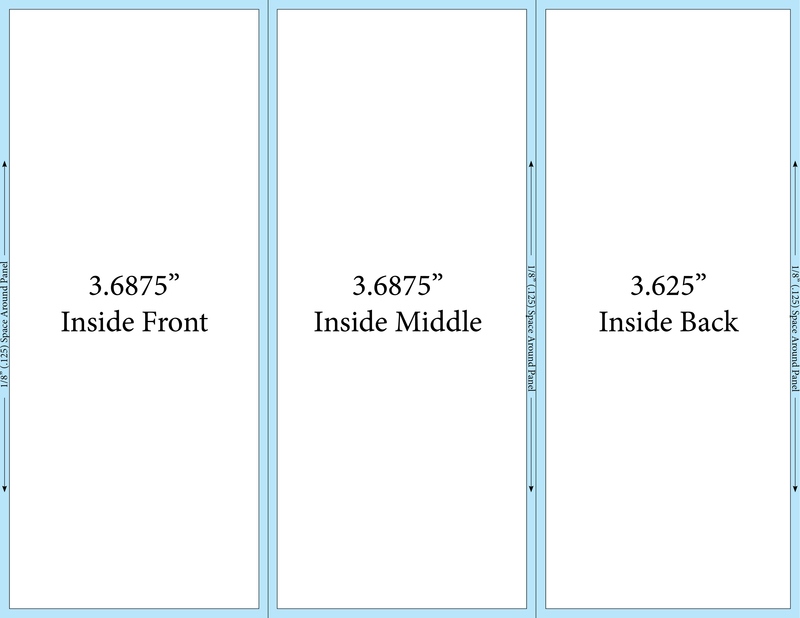 Let’s say that you have a 1/2″ (.5″) border running around the edge of your piece that is equal in width on all four sides and the printer trims 1/16″ off the back panel. What do you think the result will be? 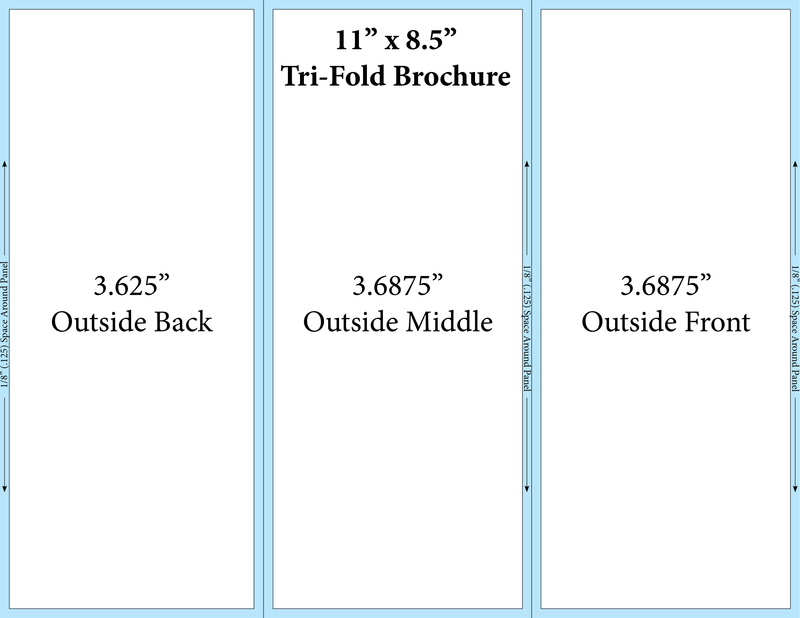 Three sides with with a 1/2″ border and the back panel border at 7/16″ (.4375″). Not what you are looking for, I’m sure. So if you would like to create a tri-fold brochure that will fold properly, follow the diagrams that I created below. This entry was posted in Graphic Design by MLC. Bookmark the permalink.